The mammoth processors and media centers of current-gen consoles are obviously nice. But the best console is the one in your pocket. 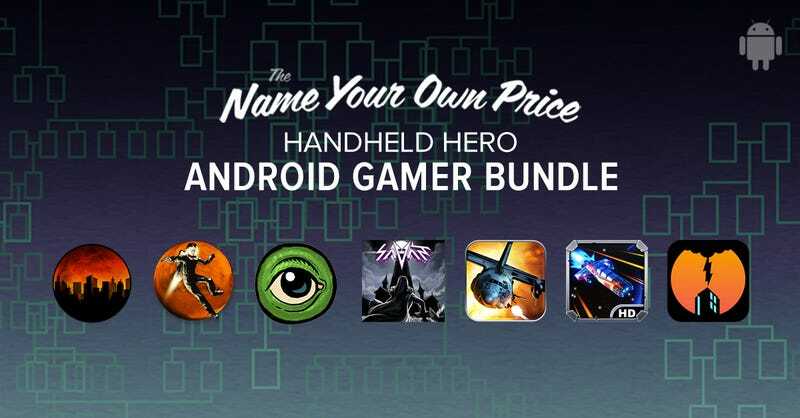 If that's an Android phone, this bundle should keep you occupied a while — and it's name your own price. The bundle includes 7 titles, and there seems to be plenty of quality and variety in there. Just to take a quick sample, there's the unique blend of music composition/tower defense that is Bad Hotel, classic top-down shooter action in Syder Arcade HD, a side-scrolling adventure on the red planet with Waking Mars, and Sim City-after-a-zombie-apocalypse in the shape of Rebuild. Zombie Gunship: Gun Dead 3D – You're humanity's last line of defense, take to the skies!